Please join us for the 18th Annual Meeting of the Society for Prevention Research in Denver, CO. The annual meeting will be held Tuesday, June 1 — Friday, June 4, 2010, at the Grand Hyatt Denver Downtown. Don't miss this opportunity to meet and mingle with more than 700 researchers from around the country at the premier meeting for prevention science! The 18th Annual Meeting of the Society for Prevention Research will be held from Tuesday, June 1 — Friday, June 4, 2010. 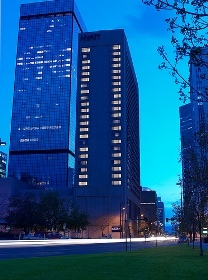 All Annual Meeting sessions and events will take place in the Grand Hyatt Denver Downtown. The hotel is located on 1750 Welton St., Denver, CO 80202. The Society for Prevention Research is an international organization focused upon the advancement of science-based prevention programs and policies through empirical research. The membership of the organization includes scientists, practitioners, advocates, administrators, and policy makers who are concerned with the prevention of social, physical and mental health problems and the promotion of health, safety, and well-being. The meeting seeks to present the latest in prevention science from across international regions in the areas of epidemiology, etiology, preventive intervention trials, demonstration projects, policy research, natural experiments, program evaluations, clinical trials, prevention-related basic research, pre-intervention studies, efficacy and effectiveness trials, population trials, and studies of the diffusion/dissemination of science-based prevention. The Program Committee of the Society for Prevention Research (SPR) invites submissions for presentations within all content areas of public health, education, human services, criminal justice, and medical science. Relevant focus areas include, but are not limited to: health disparities, health promotion and disease prevention, maternal health, suicide, infant and child health, mental health/mental disorders, family conflict, substance abuse and addiction (alcohol, tobacco, illicit drugs), violence, delinquency, crime, academic failure, dropping-out of school, obesity, cardiovascular disease, cancer, diabetes mellitus, HIV/AIDS and other sexually transmitted disease, unintended pregnancy, unemployment, occupation safety, auto crashes, unintended injury, poverty, welfare, managed care, and policy-based interventions. The conference theme, "Cells to Society: Prevention at All Levels ", is meant to be comprehensive.